The post Witness The Discovery Of The God Particle In AR appeared first on VRScout. The Best HTC Vive Games Coming in 2019 Some of the videogames HTC Vive owners should be looking forward to. Between the launch of Oculus Go, Vive Pro and an onslaught of new titles, 2018 was a busy year for VR. But it’s no secret that more exciting developments lay ahead for 2019. Current PC VR headsets are starting to get a little long in the tooth and in need of a refresh, whereas the advent of position-tracked standalone headsets could open the doors to a whole new audience. We’ve looked ahead to the new year and come up with five big questions the VR industry faces in 2019. Is Oculus Quest VR’s Mainstream Moment? Oculus Quest has a lot of buzz around it. It’s Facebook’s second standalone VR headset, but it surpasses Go with full six degrees of freedom (6DOF) tracking comparable to what you’d find on PC VR, without the need to hook it up to an expensive rig. With a $399 ‘all-in’ price tag and high profile ports of games like Superhot and The Climb lined up, some hope that this might finally be the VR headset to give the industry the kickstart it needs. But it’s far from set in stone. Quest might be a powerful bit of kit for a mobile headset but it still won’t be able to match up to Rift, Vive or even PSVR. Developers are going to run into restrictions that might impact the overall immersion the platform is capable of. We also still have a lot of questions about battery life and the extent to which the inside-out tracking holds up. Facebook has a lot to prove before we place all our hopes on Oculus Quest. Will Valve Revolutionize PC VR? Meanwhile on the PC side, much of the current excitement surrounds Valve’s next steps. The company that brought us the accurate, large-scale SteamVR Tracking system seems to finally be making moves toward the next generation of SteamVR. It’s latest base stations are now out and working with the Vive Pro, while the long-awaited Knuckles controllers continue to be shipped out to budding VR developers. Most importantly, though recent leaks indicate that Valve is planning its very own VR headset, one with a massive 135 degree field of view (FOV) that comes bundled with Knuckles. Not only that, but we’ve heard that a Half-Life based VR game is also on the way from the company, which would likely turn heads as no other VR game has yet done. Valve had a quiet 2018 but if it reveals the news we’re expecting in the months ahead, 2019 will be a very different case. What Does Oculus Rift S Mean For Facebook? Oculus Quest may not be the only new VR headset from Facebook in 2019. Rumors also suggest the company is preparing an upgraded version of the Rift, dubbed Rift S, that may integrate Oculus Go’s improved screen and Oculus Quest’s inside-out tracking. In theory, the prospect of an upgraded Rift with a better screen and marker-free tracking is an attractive one, but the idea’s been met with some contention. The post Five Big Questions Facing The VR Industry In 2019 appeared first on UploadVR. HTC Vive Officially Endorses the FinchShift 6-DoF Controller Qualcomm also confirms compatibility with its Snapdragon 845 VR Reference Design. Standalone vs PC VR Power Compared: How Big Is the Difference? In 2018 the first major standalone VR headsets launched; Oculus Go, HTC Vive Focus, and Lenovo Mirage Solo. Due to their limited input devices they are mainly used for media consumption. But this year, standalone headsets focused on gaming, like Oculus Quest, will release. These headsets open up VR to a much larger market than before, but have considerably less computing power than a PC or PS4, which have been the home of gaming VR so far. But just how big is this computing power difference? How much do developers have to work with? The CPU (central processing unit) is the general purpose computing component. It is responsible for a wide variety of tasks, but in games it is mainly taxed by physics and AI calculations. To compare CPUs across platforms we are using the GeekBench 4 benchmark. GeekBench is specifically designed to derive computing power across different platforms without favoring any due to software or architecture differences. Note that the figure for the Snapdragon 835 is taken from devices where it does not have active cooling. Oculus Quest and HTC Vive Focus have active cooling fans, so the chip can be clocked higher and sustain that speed for longer. As can be seen, the Snapdragon 835 in the 6DoF standalone headsets actually comes close to PC’s minimum spec, falling behind in singlethreaded performance but actually pushing ahead in multithread. Developers will still have to put a lot of work into optimization here, but the difference is small enough that any CPU dependent concept on PC should be able to be brought to standalone. The GPU (graphics processing unit) is the component responsible for rendering the actual visuals. The GPU is the main component of a video/graphics card, and thus the terms are often used interchangeably. GPUs are more difficult to compare across platforms, as there is no GeekBench equivalent which properly takes into account platform differences. For a rough estimate though, we can compare the floating point operations per second (FLOPS) specification. Like with the CPU, the figure for the Adreno 540 is taken from passively cooled devices. In Oculus Quest and HTC Vive Focus performance can be higher. As you can see, the GPU differences between standalone and PC are far greater than the CPU- less than 25% of even the Rift’s minimum spec GPU. This is where developers will have the most trouble- mobile GPUs simply do not compare to the multi-hundred-watt beasts from NVIDIA and AMD in our PCs. Many PC VR games will have to have the 3D assets completely redone to be brought to standalone, with simplified graphics that favor a cartoon style over realism. This is a significant amount of work, so not all developers will do so. The post Standalone vs PC VR Power Compared: How Big Is the Difference? appeared first on UploadVR. It was around this time last year that HTC Vive teased the reveal of its Vive Pro headset at CES 2018. It looks like the company is now hinting at yet another reveal for CES 2019. HTC Vive just tweeted the below image of its CES 2019 gear all boxed up and ready to move to the big show in Vegas. The accompanying message teases ‘some new gear we can’t wait to unbox for you’. Perhaps more importantly, though, the picture features on box with a logo that’s been blurred out. The other two boxes both have clear logos. Why the secrecy? It certainly looks like HTC is set to reveal some new hardware at CES, then. The real question is: what? The developer’s standalone VR headset, Vive Focus, is now available and Vive Pro is less than a year old so we weren’t sure we’d see anything new from HTC this year. But, back in November, the company did file a trademark for something called Vive Cosmos. It seems like that this could be the name for whatever’s in that box. There’s been plenty of speculation about Cosmos. Is it a new PC VR headset that utilizes Focus’ inside-out tracking? Or is it an upgraded SteamVR headset ready and waiting for Valve’s Knuckles controllers? Or is it another peripheral similar to 2017’s Vive Tracker? We’ll have to wait until next week to find out. CES kicks off on January 8th. We’ll be at the show to bring you all the latest from the world of VR. The post CES 2019: HTC Vive Teases ‘New Gear’ For Reveal Next Week appeared first on UploadVR. Star Wars: Vader Immortal is coming to Oculus Quest this year, though we still don’t really know what it is. We got a brief teaser trailer at Oculus Connect 5 in 2018, but it didn’t tell us much. The latest teaser trailer is similarly cryptic. A New Years tweet from developer ILMxLAB’s account includes the below video. It simply utters the works “New year, new opportunity to cheat death” before flashing the logo once again then saying “Prepare for his arrival”. To us, that suggests that someone cheating their own death may play a part in Vader Immortal’s story. From the first trailer, we know that Darth Vader has captured and brought the player’s character to his super secret evil lava base. Could he have perhaps done this to someone he once thought dead? Could we be a Star Wars character we all thought had perished? Perhaps a Jedi thought to be killed in Order 66? Or perhaps that message refers to Vader himself? We know Vader Immortal is set between Episodes III and IV of the movies. Maybe it’s closer to when Anakin Skywalker was left for dead and was reborn as Vader. Okay, we’re getting too far into fan theory territory here but it’s exciting to play the guessing game. It’s a lot to pick apart but we’ll need to remain patient for answers. Star Wars: Vader Immortal Episode 1 (which will hopefully be a lot better than that other Episode 1) is coming first to Quest, which is expected to launch a few months from now. ILMxLAB is keen to stress that it isn’t a ‘game’ as such, but it will have interactive elements. Judging by the debut trailer, one of those elements could be VR lightsaber combat. That alone has us sold. The post Star Wars: Vader Immortal Teases Cheating Death In New Years Message appeared first on UploadVR. 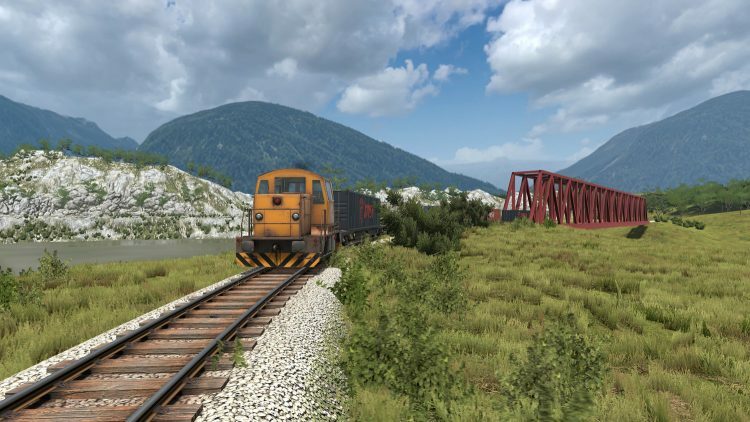 We’ve been following VR train simulator Derail Valley for some time now. We first played it in early 2017, when we were impressed with the game’s peaceful visuals and realistic controls. Two years on, it’s finally pulling into the Early Access station. Derail Valley will launch in pre-release on January 18th with support for the HTC Vive, Oculus Rift and Windows VR headsets. Developer Altfuture confirmed as much in a blog post last month. In the game, you travel between stations delivering cargo drops in different types of trains. You’ll need to learn how to operate your chosen locomotive, correctly attach cargo in the right order and then ride through the country without crashing. As you play you’ll earn money to buy new trains and service your existing ones. The game packs 256 km² of open world to explore. Trains include traditional steam locomotives, which you’ll need to fuel with coal, and electric shunters. As you progress through the world you’ll move into different job areas that change your locations. Picking up cargo from a forested area, for example, will mean a delivery at the sawmill. Stopping off at the oil well? Then off to the harbor with you. Oh, and as the trailer above shows, it sure is a looker. Over the course of Early Access Altfuture will be looking to add more types of trains, passengers and even NPC trains. Further down the line the team hopes to add co-op play, mod support and more. You can follow along with a development roadmap here. The developer hasn’t yet said when it plans to leave Early Access. We haven’t seen too many a train simulator in VR yet, so we’re looking forward to this one. The post Derail Valley Is A Realistic VR Train Simulator Arriving Very Soon appeared first on UploadVR. The Mage’s Tale is ‘Coming Soon’ to PlayStation VR There's no firm released date just yet. I was half expecting to write that the combined power of the Vive and Vive Pro had allowed HTC to regain the top spot it once held for so long in December’s Steam Hardware Survey. Turns out the opposite is true; the Oculus Rift gained ground this month. In November 2018’s results, there was less than 1% difference between Rift and the total of both Vive and Vive Pro. HTC looked like it had Oculus on the ropes. But, instead of continuing that trend, December saw the gap grow to 2.28%. Rift ended the month with 46.45% of the total VR user share on Steam (up from 45.88%). Vive, meanwhile, shrank to 40.82% (down from 42.76%). Finally, Pro came in at 2.81% (up from 2.5%). No doubt Christmas sales helped Rift and Vive Pro grow in December. HTC focused on Pro for its Black Friday promotion and Oculus cut $50 off of the Rift. A lot of the headsets bought in November were probably unwrapped in December. But don’t discredit the growth of other headsets contributing to Vive’s smaller number. Microsoft’s Windows VR headsets saw a significant leap of their own in December. The range of partner-made devices grew from 7.77% to 8.89%. Again, a wide range of sales, some of which offered the headsets for around $199, probably helped. Samsung also launched its Odyssey+ headset towards the end of the year which caused a stir. There was also the slightest bit of growth from Huawei’s VR kit, going from 0% to 0.02%. You’ll get there, little guy! As always, we’ll mention that these figures aren’t a definitive means of measuring the VR market. This is an optional survey and you need to have your hardware plugged in (and using Steam) for it to register. Neither HTC nor Facebook has revealed sales figures for their headsets. Still, a new year is upon us and we’re excited to see how the scales shift in 2019. More than anything, though, we’re eager to see what new headsets might join the chart. The post Oculus Rift Pulls Ahead Again In December Steam Hardware Survey appeared first on UploadVR. The post St. Joseph’s Healthcare Trains Staff Using VR Seclusion Rooms appeared first on VRScout. Beat Saber achieved a notable milestone on January 1, 2019, according to Steam analytics site SteamDB, which tracks data as reported by Valve’s Steam PC games store. To ring in the new year, more than 4,000 players at the same time booted up Beat Saber on their PCs, according to the data collected by SteamDB. The player count outstrips the concurrent player count in other popular titles like Skyrim, which reported nearly 3,000 players with its VR debut on PC in April 2018. We first spotted the chart tweeted out by VR investor Tipatat Chennavasin. The data of course doesn’t include Beat Saber players booting up the game on some 3 million PlayStation VR headsets, nor does it include those who bought the game from Facebook’s Oculus. So it’s not really possible to take this as a snapshot of the overall performance of Beat Saber across all platforms. It is disappointing similar data isn’t available via the Oculus Store for a fuller picture of the overall PC games market. Beat Saber launched on PC first in 2018 and modding the game to accept songs with custom beat mapping remains a big draw even as developers work on a multiplayer version alongside other additions. We are expecting Oculus Quest first in 2019 and big news next week at CES, but the upgrade paths for PC VR headset owners is still unclear. HTC, Valve, Facebook, Microsoft, Samsung and other companies might all have PC VR hardware upgrades in store and those could have a major impact on PC VR adoption — and concurrent players in VR — in 2019. The post SteamDB: 4,030 Concurrent Players In Beat Saber To Start 2019 appeared first on UploadVR. For today's livestream we're spinning up sick beats in Electronauts, otherwise affectionately known as the Daft Punk simulator. The post Electronauts Livestream: Funky Tunes And Daft Punk Vibes appeared first on UploadVR. The post Unofficial Yu-Gi-Oh! Fan Project Brings The Classic Trading Card Game To VR appeared first on VRScout. After a huge slate of new VR game releases the last few months, January is shaping up to be a bit slower as we get ready for CES. The post VR Game Releases For January 2019 appeared first on UploadVR.